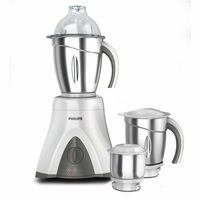 No need to follow the conventional modes of chopping and grinding when one can have modern devices like food processor to easily grind, mix and blend. Now, grinding and blending will no longer be a tedious task as this smart food processor will ease your life through its brilliant features. This food processor comes along with Atta jar that allows you to easily knead the dough without spoiling your hands. 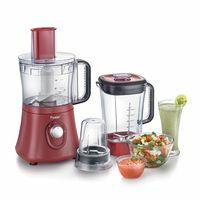 So, do not let cooking consume a lot of time as now with this food processor, you can easily and in less time grind and chop. 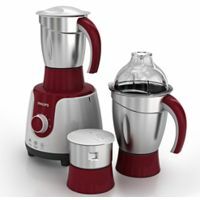 No need to follow the conventional modes of chopping and grinding when one can have modern devices like food processor to easily grind, mix and blend. Now, grinding and blending will no longer be a tedious task as this smart food processor will ease your life through its brilliant features. This food processor comes along with Atta jar that allows you to easily knead the dough without spoiling your hands. 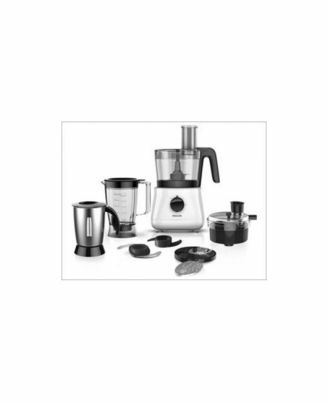 So, do not let cooking consume a lot of time as now with this food processor, you can easily and in less time grind and chop.